A cruel nephew stole two laptops and a computer tablet from his disabled uncle despite being on a restraining order to leave him and his wife alone. 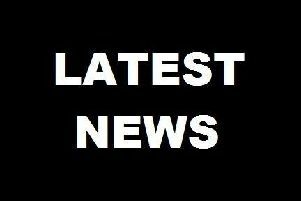 Chesterfield magistrates’ court heard on Friday, July 29, how Jermaine Sinfield, 28, of Scarsdale Street, Carr Vale, Bolsover, breached the restraining order by visiting Anthony Wragg and Mr Wragg’s wife Dawn stating that he needed the toilet. Prosecuting solicitor George Speed said: “He called at Mr Wragg’s address putting him in breach of a restraining order and stated he needed the toilet. “He was allowed inside but when he left two laptops and a tablet valued at £850 were discovered missing. The court heard how Sinfield was originally subject to a five-year restraining order not to contact Anthony and Dawn Wragg which was imposed in 2011. Mr Speed, prosecuting, explained that Sinfield had been given the restraining order and a 12 month custodial sentence after he had previously stolen cash from Mr Wragg, damaged furnishings with a hosepipe and fraudulently used his uncle’s credit cards to get cash and to gamble online. Sinfield initially denied the latest offences committed on June 15 and a trial was scheduled for August 5. However, he pleaded guilty at the July 29 hearing to the theft of the two laptops and the tablet and pleaded guilty to breaching the restraining order. Magistrates committed the case to Derby Crown Court for sentencing on August 18.